Deanna Greens and Garden Art will be at the Lake Saint Louis Farmers’ and Artists’ Market tomorrow morning bright and early. We are having an Herb Sale. 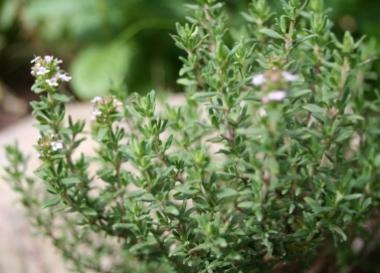 Kitchen herbs such as sweet basil, chives, marjoram, common and pineapple sage, lemon and winter thyme growing in 3-1/2 ” terra cotta pots will go for 4 pots for the price of 3. $15. Pesticide-free. Great for your favorite autumn and winter dishes. Come buy, cook, and savor.